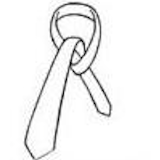 Until recently I had no idea there are 85 ways to tie a necktie. 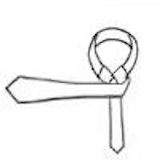 Thomas Fink is an author and physicist who published a book that not only gets into the history of ties, but also using popular math describes 81 new possibilities to tie a tie. So if you are bored of the 4 classic knots (the Pratt, the Four-in-Hand, the Full and Half Windsor) you might want to see what Fink has to offer. 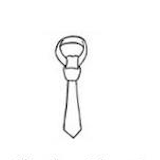 The book is a good read, but when it comes to dressing up for formal events such as an important interview, big presentation or a wedding, the traditional Windsor knot, aka a Full Windsor or as a Double Windsor, is the way to go. 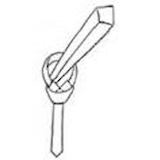 It is a wide, thick and triangular tie knot that is best suited for spread collar shirts and, speaking of personal experience, not very difficult to do. 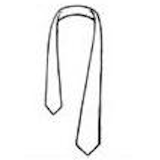 According to the experts at tie-a-tie, the Full Windsor best compliments men who have longer necks (this knot slightly shortens the perceived height of the neck) and round or strong square faces. 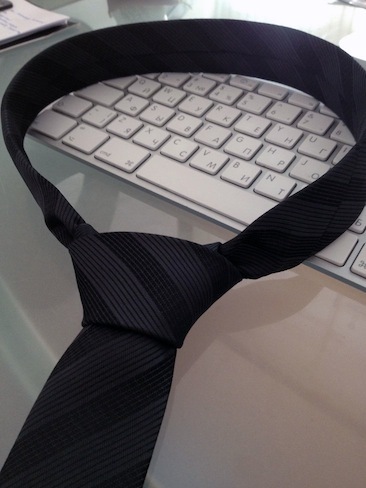 This symmetrical and well-balanced knot is comfortable to wear because it holds the tie tight in place and keeps space between the neck and the collar at the same time. 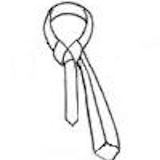 When buying a tie that will be used for the Windsor knot keep in mind that it should be 1.6 inches (4 cm) longer than a standard tie. 1. Start with the wide end of the tie on your right. Make sure it’s about 12 inches (30.48cm) below the left end. 2. Cross the wide end over the narrow one and bring it up through the loop. 3. Bring the wide end of the tie down, around behind the narrow, and up on your right. 4. Push the narrow end down through the loop and pull it tight. 5. Turn the wide end, and pass it across the narrow. 6. Pull the wide end up through the loop. 7. Slip the wide end through the knot in the front. Make sure to tighten it and draw up to the collar. 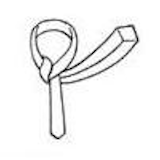 Seeing me trying to do the various knots my boyfriend said he can hardly imagine an accessory that is as impractical and uncomfortable as a necktie (obviously, he’s not a number one fan of formal attire). What do you think? What is a tie for you? A touch that compliments your looks or an obsolete thing that you are still compelled to wear from time to time?